A famous Kabuki theater is closing its doors at the end of the month. The theater's owner says its too outdated to remain open. The Japanese seem to be losing their appetite for fish. A government study shows the average consumption of seafood in the country has dropped below meat. That's forced Japan's fishing industry to fight back with music! Akiko Fujita checked out the sound. North Korea funds 10 high schools in Japan. These schools cater to students of Korean descent living in Japan, and the schools aren't popular with the Japanese government. Reporter Akiko Fujita explains. Some Japanese initially criticized the U.S. media coverage of Toyota as ?Japan bashing.? But reporter Akiko Fujita reports from Tokyo that now those attitudes are beginning to change. Toyota hasn't stopped selling cars in Japan but the company's problems in the U.S. and now Europe have made headlines back home. Akiko Fujita tells us how the Toyota recall has been playing out in Japan. From PRI's The World. Japan's parliament is considering letting ?permanent foreign residents? vote in local elections. It's a politically sensitive issue and, as Akiko Fujita reports, the bill has sparked a fierce public debate. The population of Guam is expected to increase by 50% in the next four years. That's because the U.S. plans to redeploy thousands of Marines from the Japanese island of Okinawa. It threatens to strain Guam's infrastructure as Akiko Fujita reports. New Year's Day is the most revered holiday in Japan. The Japanese actually celebrate it over a 4 day period. Every year, people line up to buy something called a ?fukubukuro? or ?luck? bag. Akiko Fujita introduces us to a different New Year's tradition. Christmas isn't a national holiday in Japan but many Japanese celebrate the 25th with a special meal: fried chicken ? specifically, Kentucky Fried Chicken. Colonel Sander's chicken is considered a Christmas tradition there. 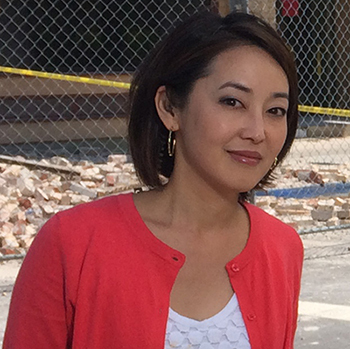 Akiko Fujita reports. Correspondent Akiko Fujita reports from Japan on the latest tensions over US military installations on the island of Okinawa. The country's new government campaigned on a promise to close a key US base. But that appears unlikely.